What are we picking? It’s a green harvest! 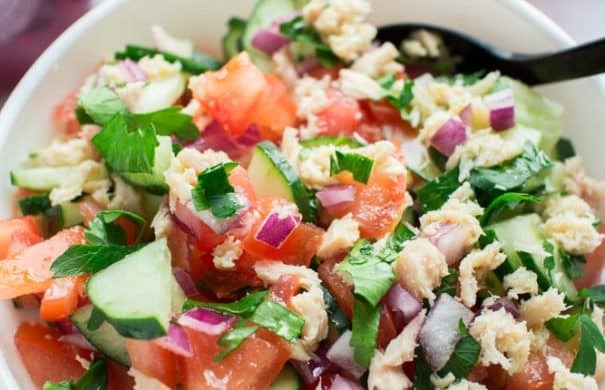 HEALTHY Tuna Cucumber Tomato Salad with olive oil dressing! This super easy salad recipe is only 140 calories a serving! I love using fresh tomatoes, cucumber and onions from the garden! It’s completely dairy free too! 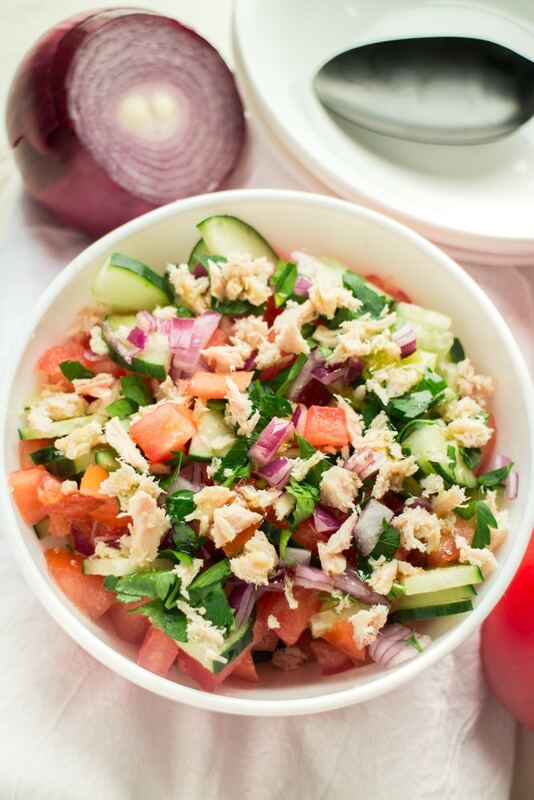 This Tuna Cucumber Tomato Salad is the perfect fresh Summer salad. Or if it’s not summertime, then it’s the perfect close your eyes and pretend it’s Summer salad! It’s one of my favorite picnic side dishes! 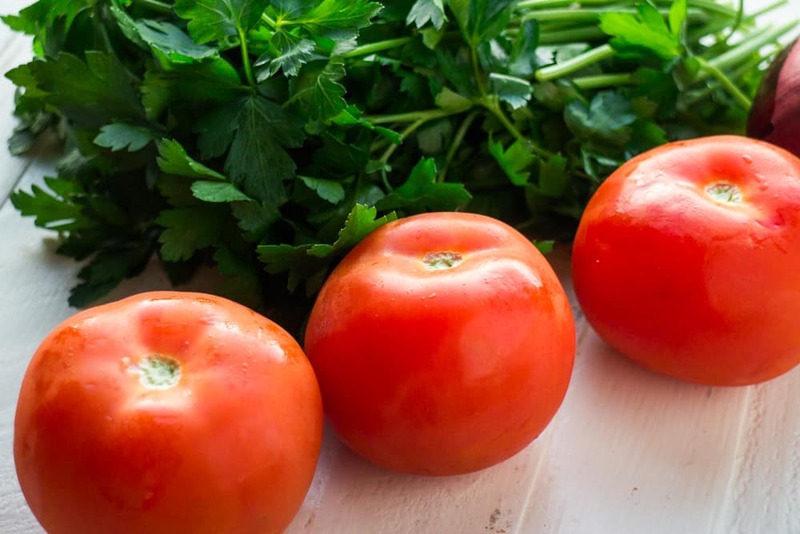 It includes a few garden favorites; tomatoes, cucumbers, red onion and fresh parsley so it’s ripe with flavor. It also includes Albacore tuna which has a delicious, mild and clean flavor. Trust me, you’re going to love it! What to make with cucumbers and onions? 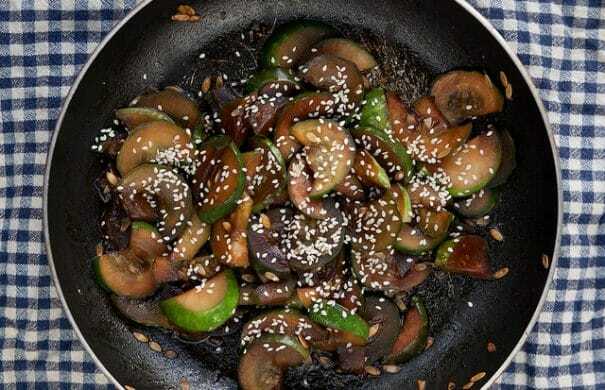 This is one of my favorite meals to make with cucumbers and onions! For this recipe you will need 5 large tomatoes, 1 small cucumber and 1/2 of a red onion. It’s still Winter here in NYC and I feel like we’ve had a colder than average last few months. I’m sick of wearing my big Winter coat and pushing the stroller through the windy streets. To comfort my need for wishing for a warmer day, I made this Summer feeling salad that has me dreaming of picking tomatoes in our vegetable garden. I'm so happy you like them Keith! Thanks for commenting! The BEST Half Sour Pickles recipe there is! These easy homemade pickles taste just like New York Crunchy pickles. 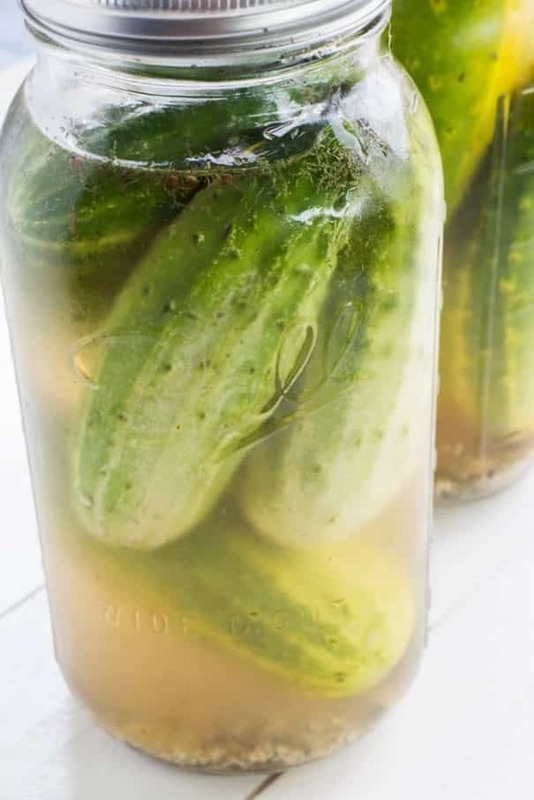 No canning is needed to make these delicious pickles, just throw them in the refrigerator for a few days! Make them to find out why they’re so popular! If I could stand on top of a mountain I would yell “I love pickles!”. I really do. 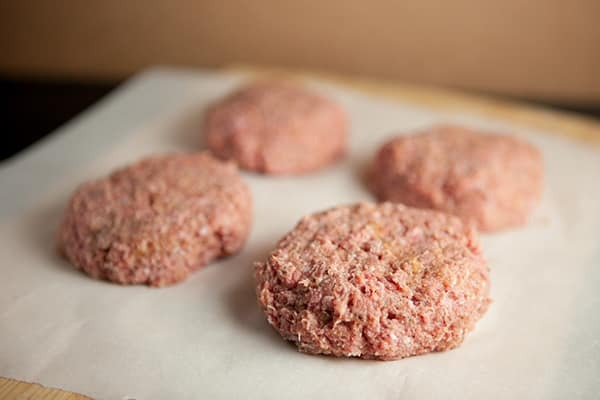 They’re pretty, they’re crunchy, they’re full of flavor, they hit the right spot in the afternoon when you need a snack, they’re great on a burger, they’re great at 4AM standing in front of the refrigerator. 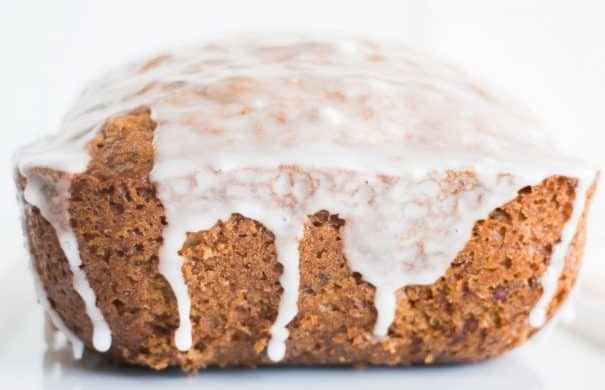 This Sugar Glazed CUCUMBER Bread is delicious and so moist! It tastes just like zucchini bread, but it’s made with 1 cup grated cucumber. 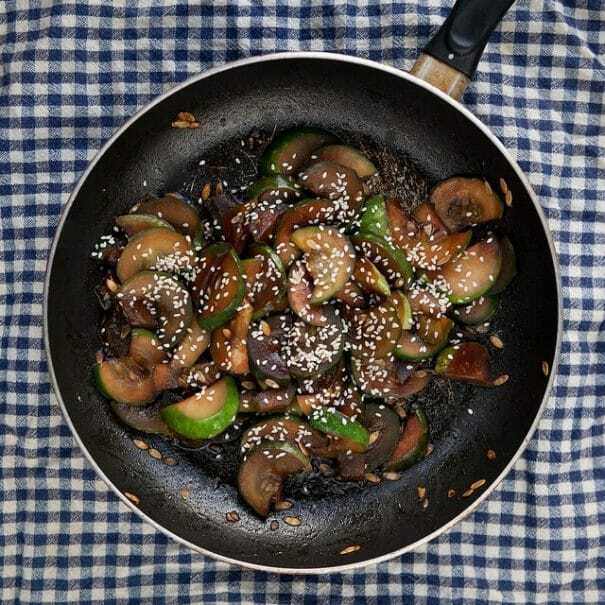 The healthy dessert recipe is easy to make and is a great way to eat your vegetables! A powdered sugar glaze is poured on top once baked! Everyone in my family LOVES it – even toddlers! This weekend there were many surprises in the garden. The monster pumpkin plant just won’t stop growing. There was a 5 pound bag of potatoes waiting for us under the soil. Carrots were pulled. Jalapeno peppers were picked. Cucumbers were spotted. These are all vegetables I was hoping for, but maybe in a few weeks…. but in typical garden fashion, they make their own rules and showed up to the party early. I couldn’t have been more happy to see them! I saw a few baby cucumbers growing on the vine last weekend but somehow those babies transformed to multiple large cucumbers in just a few days, ready to be picked and enjoyed. 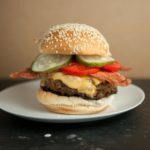 My Half Sour Pickle recipe and Cucumber Tomato Salad is a favorite way to use cucumbers, but I was trying to figure out how to bake with them. This Sugar Glazed Cucumber Bread was created because of that! This bread is similar to Zucchini Bread, but instead is made with grated cucumbers. After the bread cools, a delicious powdered sugar glaze is poured on top to make it really special. This is our new breakfast recipe that I’ll be making weekly until the cucumbers finish in the garden. 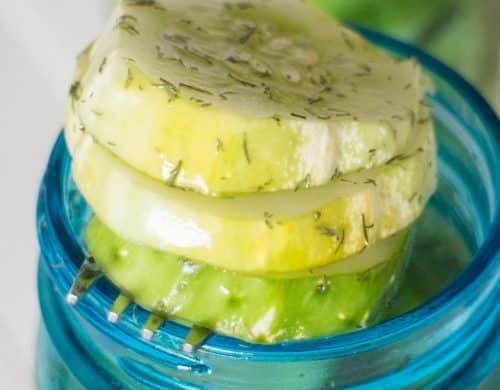 This is one of my family’s favorite cucumber recipes – perfect for Mom and Dad, but also perfect for toddlers and kids! Even my 1 year old loves a piece of this for breakfast in the morning! CUCUMBER PEPPERMINT Tea is my favorite Summer drink! This homemade cup of green tea includes cucumbers, peppermint, honey and a splash of lemon juice to make a healthy and fresh drink. You can drink it hot or iced. The health benefits of this tea are great so I love drinking it every morning! In August we start to see the Summer harvest really start to shine. Tomatoes and peppers are picked by the basket, corn is starting to be made, watermelons grow a few on each vine and the cucumber plants are snaking through the beds. When we grew cucumbers on the roof in containers they would spread similar to pumpkin and watermelon plants, and now that we’re growing Upstate they continue to spread and become friends with the kale, cabbage and other nearby greens. 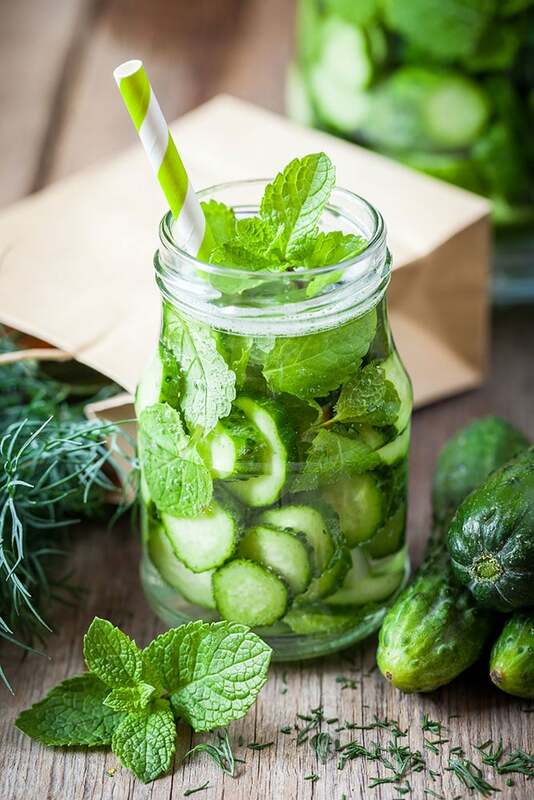 With our Summer cucumber harvest I usually rely on my Half Sour Pickles recipe and call it a wrap, but I decided to use some of our cucumbers to enjoy in this refreshing Summer friendly Cucumber Peppermint Tea! 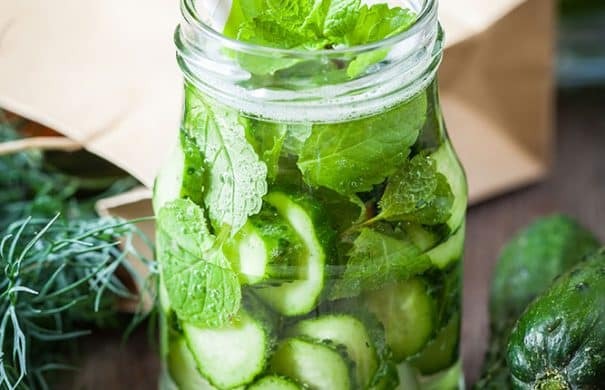 This tea uses 2 garden favorites, cucumbers and peppermint. Peppermint is a great herb that grows easily in gardens and in pots for smaller spaces. If you don’t have a garden space, no worries, you can grow it on a fire escape or windowsill just as good. Peppermint produces quickly so make sure to keep picking the leaves so the plant keeps growing! One easy way to use the plant is to drink 1 cup of this Cucumber Peppermint Tea every morning to start your day! This also makes a great pregnancy tea! 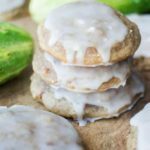 CHEWY Frosted Cucumber Cookies made with 1 cup grated cucumber to make healthy cookies! 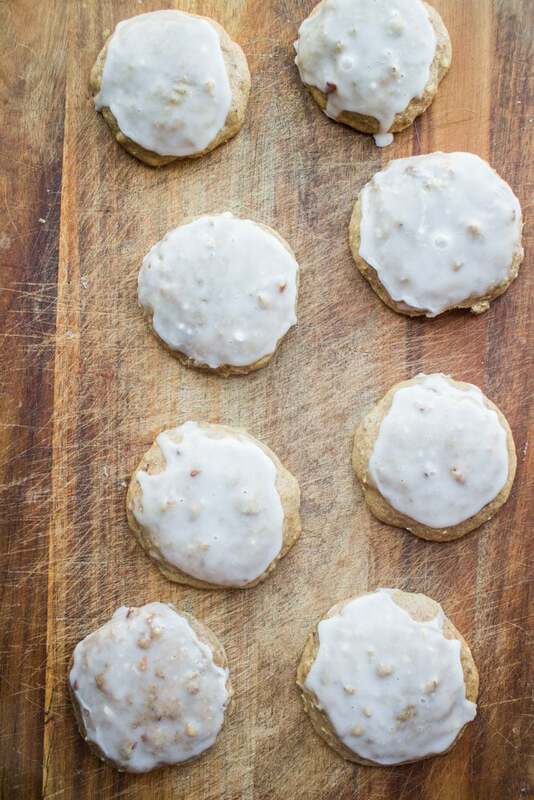 It’s the perfect easy cookie recipe to make with kids to show them vegetables can be yummy! 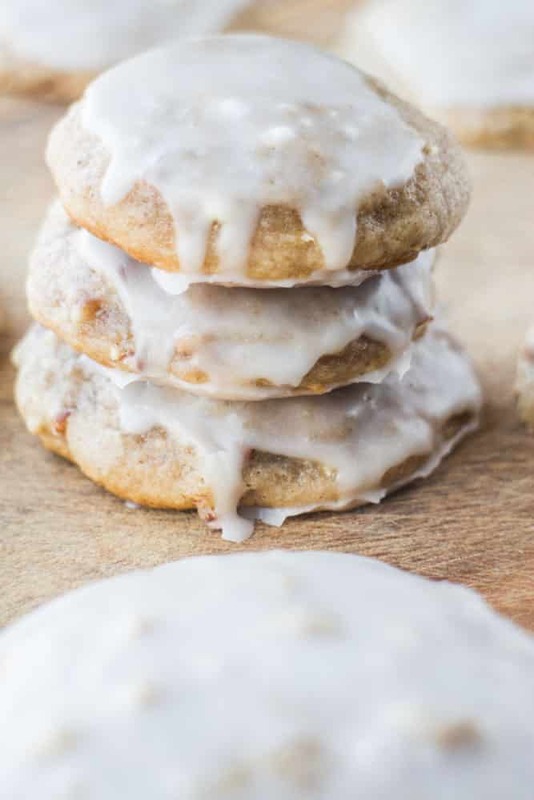 The cute cookies are soft and you will fall in love with the sugar frosting on top! Who knew baking with cucumbers could be so delicious! Cucumbers aren’t just for making pickles with (although they are sure are yummy). You can also bake with cucumber, similar to how you’d use zucchini or pumpkin (check out my Cucumber Bread recipe!). All you have to do is remove the seeds and grate the cucumber to get a similar texture. I’ve been using cucumber in multiple baking recipes this Summer, like this Sugar Glazed Cucumber Bread, and we’ve been loving it! 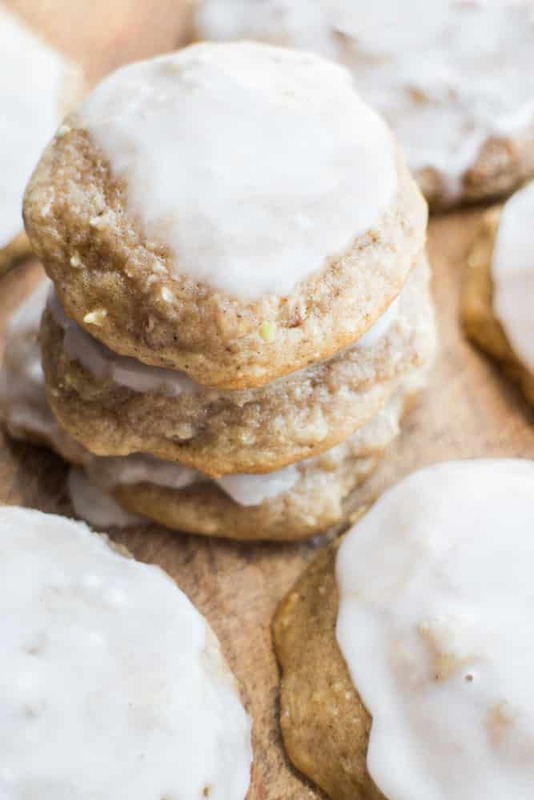 For this recipe I was inspired by Oatmeal Sugar Cookies that I used to love as a kid. 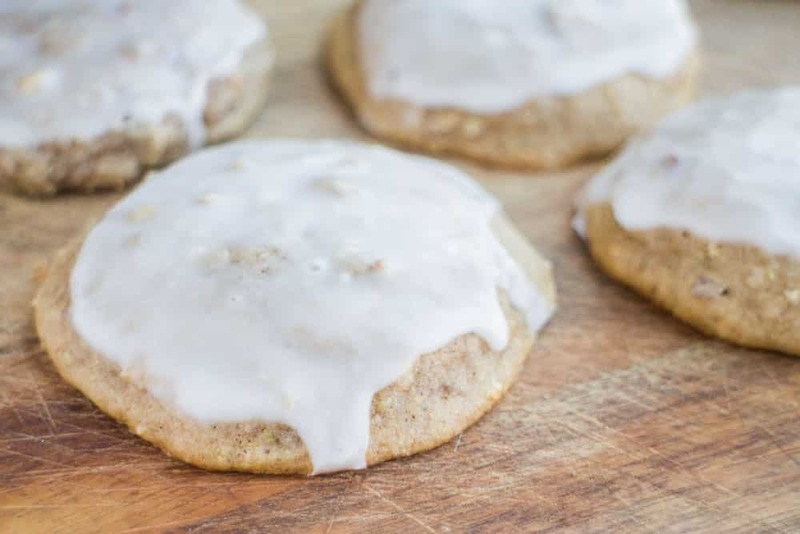 This recipe uses no oatmeal, but it has the same chewy consistency, along with the sugar frosting. The cucumber is hardly tasted in this recipe, but slightly visible with beautiful green specks decorating the cookie here or there. After family and friends tell you they love the cookies then you can tell them they are made with cucumbers. They will be shocked, trust me, I do it all the time! Then they’ll ask you for the recipe! 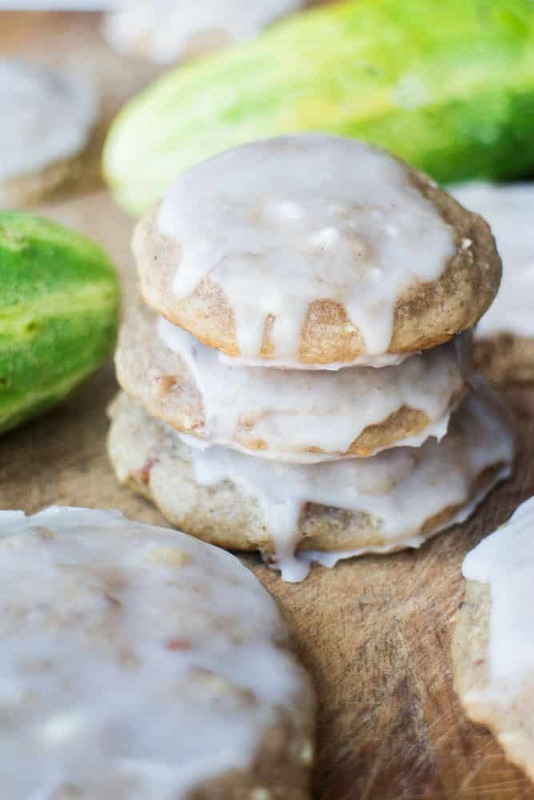 Enjoy these Frosted Cucumber Cookies! 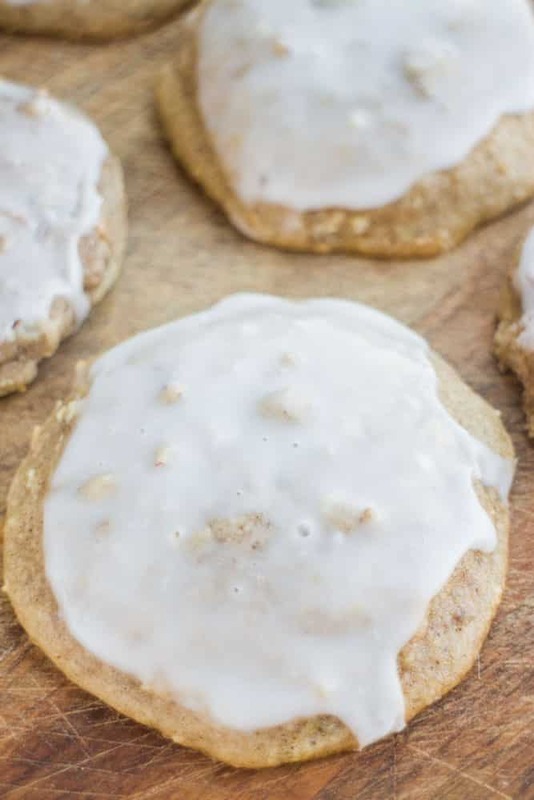 I think you will love these healthy-ish cookies! In a large bowl mix butter and sugar together with hand mixer. Beat in egg. Add in grated cucumber and stir with a spoon. 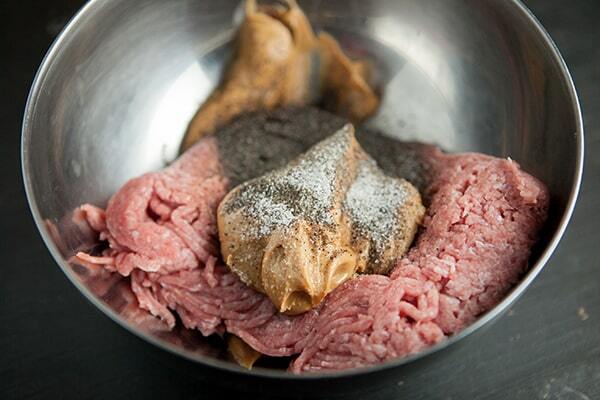 Add flour, baking soda, salt, cinnamon, cloves and nutmeg and continue mixing. Add chopped pecans into the bowl. Mix so equally distributed. Cover with plastic wrap and chill in the fridge overnight. Preheat oven to 375 degrees. Grease 2 cookie sheets. Roll dough into tablespoon sized balls and place on cookie sheets. Bake 12-13 minutes. Allow to cool. Mix powdered sugar and milk together in bowl with a spoon. Once cookies are cool, dip each one into the glaze. 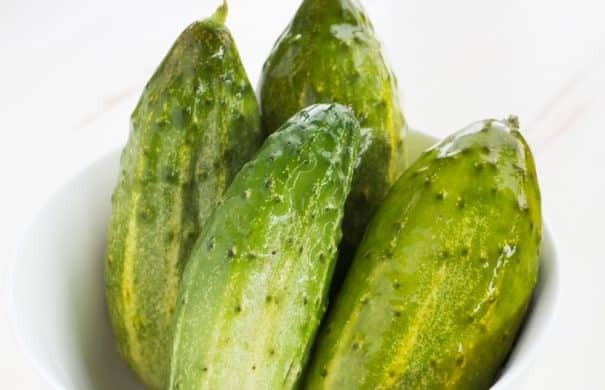 To get 1 cup grated cucumbers: peel your cucumbers, remove the seeds and grate with cheese grater. 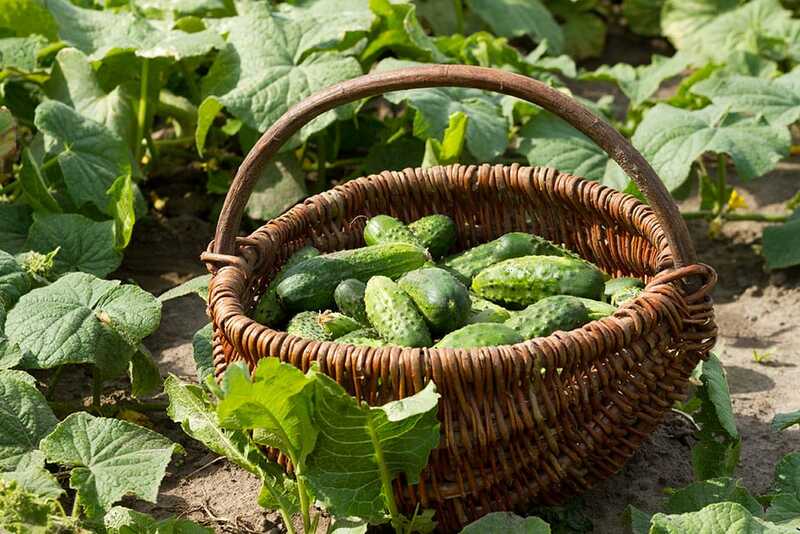 After cucumbers are grated, drain them for 30 minutes to remove excess water. 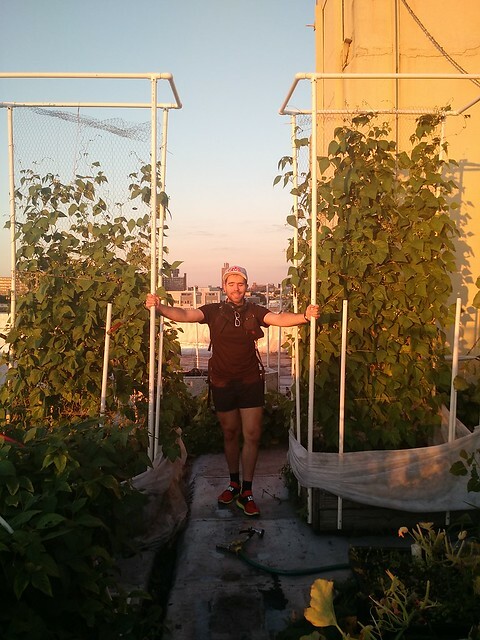 Look at all the green vegetables we picked this week on our NYC rooftop garden! We’re picking tomatoes like wild people but we’re also picking a ton of other vegetables. 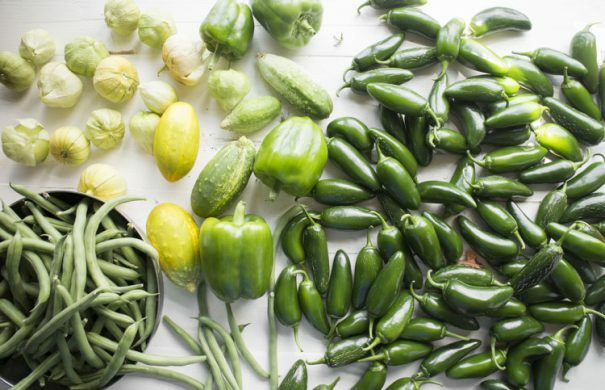 Right now there’s tomatillos, peppers (jalapeno and bell), soy beans, green beans, yellow beans, watermelon, cantaloupes, cucumbers, radishes and carrots growing. As soon as the soybeans are picked, broccoli will make it’s way to their bins. Once the carrots and radishes are harvested, a quick seed refresh will be planted to hope we can get them regrown by first frost. In our previous onion 4×4 containers a new batch of sugar snap peas were just planted in hopes they will make it before frost as well, although every year they seem to miss it by a week or two. What’s growing and what are we picking in the garden that’s green? Let’s dive in. 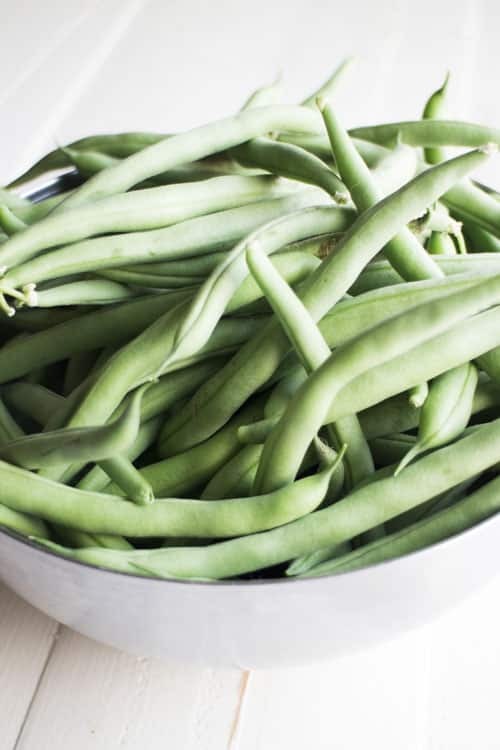 We have multiple gallon sized bags full of green beans in the fridge with us picking more every day. We’ve been enjoying them for dinner sauteed and in vegetable soup (recipe coming soon) and I’ve been freezing a few bags to save until Winter. 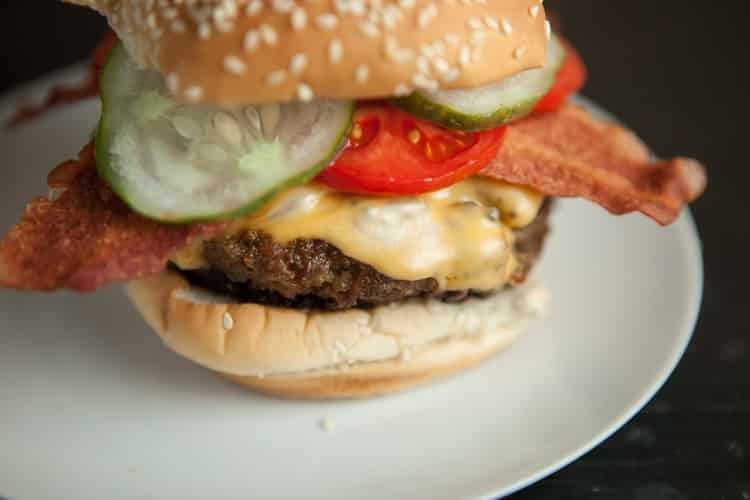 NO CANNING 24 Hour Refrigerator Hamburger Pickles! This easy recipe doesn’t require vinegar and tastes just like the best dill pickles! 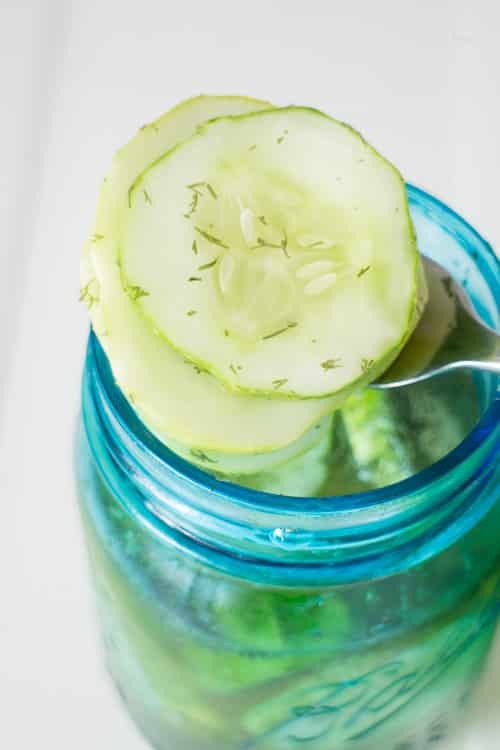 This is one of my favorite homemade recipes to use for our garden cucumbers! I love how crunchy the pickles are! It’s the beginning of August which means it’s pickle time. The cucumber plants are thriving and we’re picking kirby cucumbers by the basket. 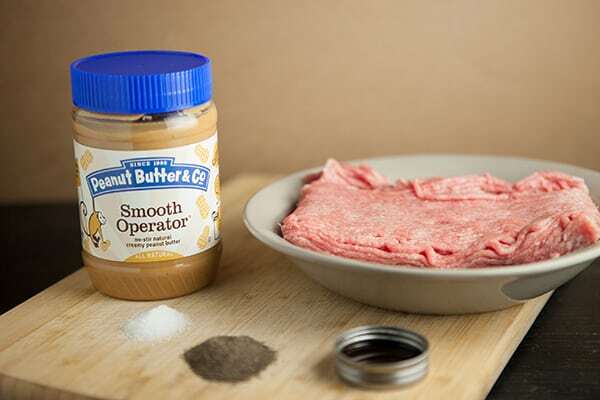 Between this and my Half Sour Pickle recipe, I’m all set with pickles for the rest of my life. 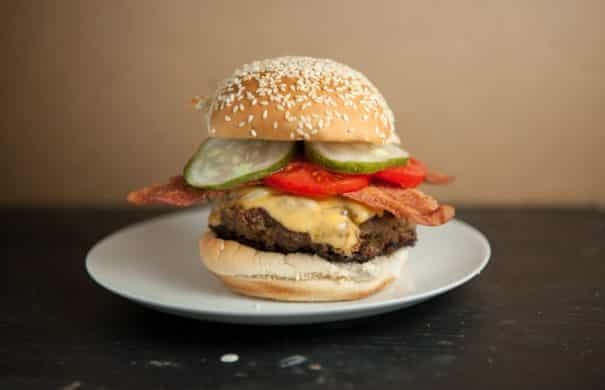 This pickle recipe is easy and tastes just like the best Dill Hamburger pickles you can buy in the store. You don’t need canning experience because these are no boil needed. 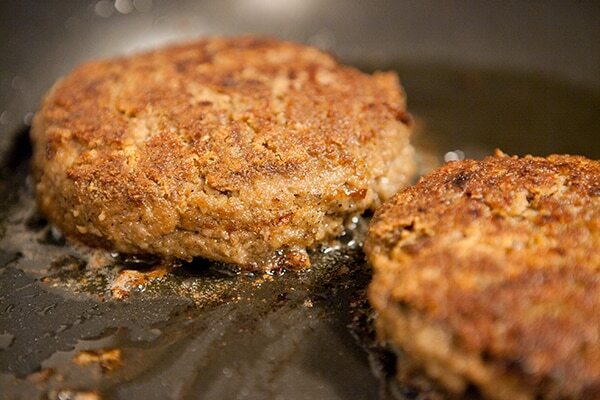 You throw them in the refrigerator and they’re ready to crunch in 24 hours. Also this recipe doesn’t use vinegar because you all know my hatred for vinegar, so for all of you who have gotten to this recipe because you typed into Google “I hate vinegar, please give me pickles”, I got you covered. I love these pickles, they’re win win all around.